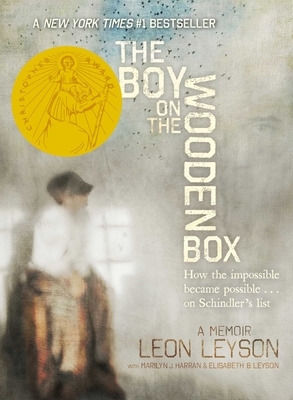 In the #1 New York Times bestseller, Leon Leyson (born Leib Lezjon) was only ten years old when the Nazis invaded Poland and his family was forced to relocate to the Krakow ghetto. Leon Leyson was one of the youngest members of Schindler’s List. He brings a unique perspective to the history of the Holocaust and a powerful message of courage and humanity. Believing that no one would be interested in his story, he rarely spoke about his experiences until the film Schindler’s List received worldwide attention. A graduate of Los Angeles City College; California State University, Los Angeles; and Pepperdine University, he taught at Huntington Park High School in Huntington Park, California, for thirty-nine years. In recognition of his many accomplishments as educator and witness to the Holocaust, Mr. Leyson was awarded an honorary doctorate of humane letters from Chapman University. Mr. Leyson passed away in January 2013, leaving behind his wife, Lis; their two children; and six grandchildren. Dr. Marilyn J. Harran is the author of The Holocuast Chronicle: A History in Words and Pictures, which has sold more than 250,000 copies. She holds the Stern Chair in Holocaust Education at Chapman University, where she is also the founding director of the Rodgers Center for Holocaust Education. Dr. Harran is a 2008 recipient of the Spirit of Anne Frank Award and a member of the board of the Association of Holocaust Organizations. She lives in Orange, California. Elizabeth B. Leyson, Leon’s wife, lives in Fullerton, California. * "A posthumous Holocaust memoir from the youngest person on Oskar Schindler’s list. Completed before his death in January 2013, Leyson’s narrative opens with glowing but not falsely idyllic childhood memories of growing up surrounded by friends and relatives in the Polish village of Narewka and then the less intimate but still, to him, marvelous city of Kraków. The Nazi occupation brought waves of persecution and forced removals to first a ghetto and then a labor camp—but since his father, a machinist, worked at the enamelware factory that Schindler opportunistically bought, 14-year-old “Leib” (who was so short he had to stand on the titular box to work), his mother and two of his four older siblings were eventually brought into the fold. Along with harrowing but not lurid accounts of extreme privation and casual brutality, the author recalls encounters with the quietly kind and heroic Schindler on the way to the war’s end, years spent at a displaced-persons facility in Germany and at last emigration to the United States. Leyson tacks just a quick sketch of his adult life and career onto the end and closes by explaining how he came to break his long silence about his experiences. Family photos (and a picture of the famous list with the author’s name highlighted) add further personal touches to this vivid, dramatic account. Significant historical acts and events are here put into unique perspective by a participant." “Tragic remembrances of war's sufferings often go untold. However, if we are to "study war no more" we need to hear them. After long silence Leon Leyson has written his World War II memoir. I am an African American veteran of World War II. I survived the invasion of Normandy. Leon Leyson's story returned me to a time when the life of each step could be one's last. THE BOY ON THE WOODEN BOX is a heartbreaking story that ends, mercifully, with a heart restored." — Ashley Bryan, multiple Coretta Scott King Award-winning author, and former GI.